“Bandersnatch” brings us a step closer to a long sought-after interactive experience, but fails to deliver much else. It’s either a sci-fi premise or just a video game. The idea of interacting personally with media has always been appealing, and it has historically ranged from the classic Choose Your Own Adventure books, choosing dialogue options on the latest role playing game, to screaming at the characters in a horror film. It’s not exactly surprising that “Black Mirror,” always the harbinger of technology’s possibilities, and Netflix, the upstart that changed the way we conceive television, was the first to do it. “Bandersnatch” emerges as the first of its kind, a “Choose Your Own Adventure” movie with ample nods to both the video games and the Choose Your Own Adventure books that it doubtlessly owes as ancestors. “Bandersnatch” has all the hallmarks of a “Black Mirror” story — dark, suspenseful, thought-provoking — and is certainly born from an intriguing concept, but it also relies far too heavily on its own novelty and in many ways fails where “Black Mirror” is usually often able to succeed. The movie follows Stefan, a neurotic, young video-game designer becoming increasingly obsessed with developing his debut project, an adaptation of the Choose Your Own Adventure book “Bandersnatch.” While aiming for the best possible rating, Stefan also faces skeletons from his own past, managing a complicated relationship with his father after his mother’s death, battling the intrusive legacy of “Bandersnatch”’s murderous author, and trying to understand the force that seems to be controlling his every move (hint: that’s you!). The viewer can go down a number of paths (some that, according to the creator, have yet to be discovered) and depending on their choices — ranging from an innocuous choice of cereal to cold-blooded murder — can uncover government conspiracies, trip on acid, or earn that coveted five-star review. In most cases, viewers seem to want to protect Stefan, but difficult choices stemming from past failures make that more and more difficult to achieve. And it’s definitely fun. Intriguing and gloriously suspenseful, “Bandersnatch” keeps the viewer guessing about what will happen next, and makes good use of its format to keep the viewer genuinely invested in the well-being of a certainly morally dubious protagonist. It plays quite well with its 1980s urban setting, and its frequent references to text-based RPG games and Choose Your Adventure books keep the plot and medium grounded in something familiar with an unsettling twist. It also generally introduces some intriguing questions about surveillance from a variety of philosophical and political angles. Simultaneously, however, “Bandersnatch” relies far too heavily on the cleverness of its concept. And is it really that clever? “Bandersnatch” may technically be the first of its kind, but the only thing that ultimately distinguishes it from a world of video games and text adventures is that it features actors instead of drawn art. Enamored with the brilliance of its own concept, “Bandersnatch” doesn’t apply the same level of thought to its plot that “Black Mirror” typically lends to its stories. A simple look into the multiple routes open quickly reveals that there was no actual concept in mind for anything beyond the surface of the movie’s plot. Many endings offer contradictory answers to Stefan’s past — one route disproving the revelations of another — and never answer the larger question about Stefan’s observer. 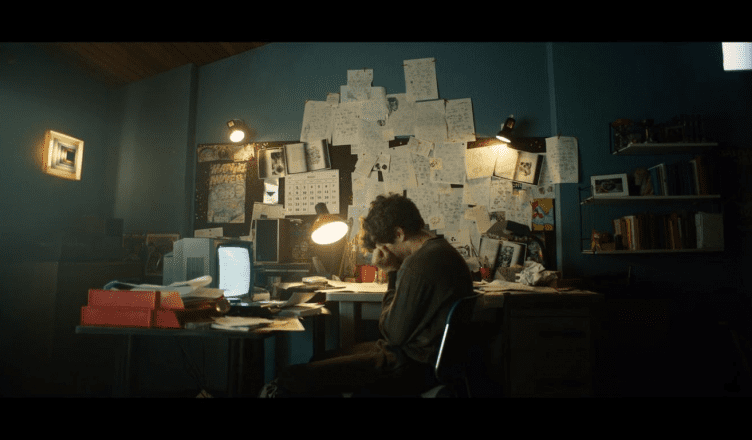 Visually appealing and haunting in tone, “Bandersnatch” has high points and an undeniably interesting concept, but it’s not enough to completely make up for its failures. Underdeveloped and proceeding with unearned confidence, it feels as if there’s hardly a point in going back to see what other choices might be had — which, after all, is supposed to be half the fun with this kind of media. It’s certainly worth an initial playthrough, but after making your final decision, your next choice will probably be to watch something else. All actors performed extremely well on this movie. Recently watched it on Netflix. Enjoyed thoroughly. watch all movies & TV shows for free on PC using MediaBox for Windows. All movies are available in HD quality.